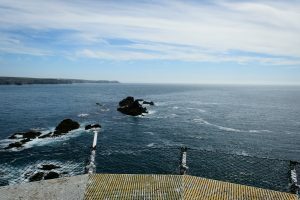 Longships lighthouse is located about a mile off Land’s End and can be clearly seen from the mainland. Access is via helicopter from St Just where Trinity House has its south coast outstation. On stormy days waves can be seen to break right over the tower and the rocks are said to be ‘the most treacherous and dangerous rock in the service’. It is fairly modest in stature at 35 m and was built in 1875. Modal testing of the tower was undertaken by the STORMLAMP team on 23 August 2016. 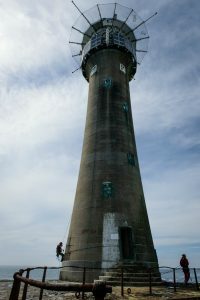 The tower has been selected as a promising candidate for long-term monitoring.